About a week ago, I was nominated for the Sunshine Blogger Award by Anjhanee at Simply Anjhanee. Go on over to her blog and show her some love. She deserves it and her blog is amazing. I subscribed right away and have been following her blog ever since. Her blog focuses on beauty and lifestyle and all things in between. When I saw that she had nominated me for the Sunshine Blogger Award, I was shocked, surprised, and a little in awe that someone who had never met me before nominated me for an award. Thank you so much Anjhanee for thinking of me. I truly means a lot to me and I hope that we can continue to be blogging friends. She asked some really great questions of her nominees and I bounced around for a few days trying to figure out how to best answer them. 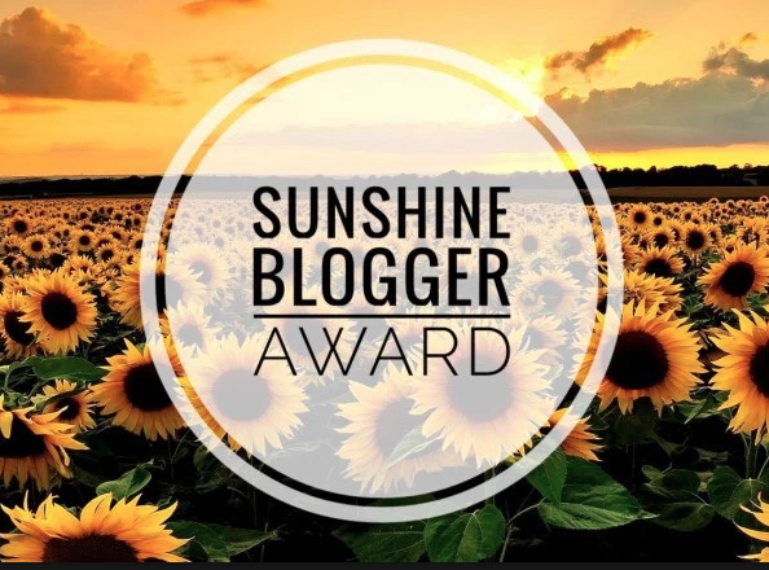 The Sunshine Blogger Award is given to bloggers by other bloggers who are creative, inspiring, and radiate positivity. Because this award is nominated by other bloggers, there are some rules. - Thank the blogger who nominated you and link their blog so others can find them. - Answer the 11 questions which the blogger who nominated you asked. - Nominate 11 bloggers and ask them 11 different questions. 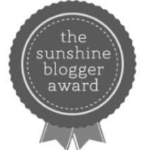 - List the rules and display the Sunshine blogger award logo in your post and/or on your blog site. I actually don’t have just one favorite food. I enjoy trying new foods from various cultural backgrounds. I love pho, sushi, and anything Thai food related. I also really love spicy kimchi. I could eat a whole jar by its self or with a side of steamed rice. And I love asada tacos. I could them all day every day. So pho, sushi, anything Thai, spicy kimchi, and asada tacos are my jam! I still feel like am learning this while blogging thing. I read a lot of articles and study some of my favorite bloggers and try to learn from them. About two years ago I decided that I wanted to reach a bigger audience and start making money. I slowly am getting there. June was the first month that I actually made any money blogging. I was pretty proud of myself too. I started blogging back in December of 2010. So 8 years but going on 9 now. When I first started blogging, I wanted to document everything pertaining to my baby and being a new mom. I documented everything! I have never been outside of the states... I dream of one day touring all of Europe and I really want to go to South Korea. I also want to go on a cruise to the Caribbean islands. I really want a Kitchen Aid mixer. I have been asking for one for years! Literally every birthday and holiday. One day I will get one. I’m optimistic. And I have hope. That is a hard one... I have been to NYC and I loved it but I could never live there. I was born in SoCal and I absolutely miss it! I’ve never been to London but would love to go. I think I would choose London because I am a history buff and that city is full of history. Hands down, Twitter. I have the largest following on there and it’s easier to engage and interact with followers and other bloggers. I would love to work with Target. I love Target. I shop there for everything and as a mom, it’s my one-stop-shop. Plus, it’s affordable and everything is super cute! I also would love to work with Fisher Price. I think it would be fun to promote their toys for kids. I know my kids would love getting new toys and reviewing it. I am most inspired during the night. When I get the kids to bed it’s when I write. I think I am still used to my college days when I stayed up until 2 am writing papers. Okay... don’t laugh at me but I am obsessed with Korean dramas right now. I am currently watching a show called Black on Netflix and I am hooked! It’s the best show ever. I would love to reach 2K following on Instagram. 10K following on Twitter. And at least 2K monthly page views on the blog. What is the meaning behind your blog name? How did you choose it? Why did you pick it? What is your favorite post that you have shared on your blog and why? Who are your top three favorite bloggers and what do you like about them? What keeps you going back to their blogs? Do you take your own blog photos or do you hire someone to them for you? What is your favorite social media platform for your blog and why do you use it? If you could work with any brand, which companies would your work with? What is your favorite musical artist? And what song do you play on repeat the most? What is your goal for the year to accomplish on your blog? Thanks for visiting the blog today. I hope you have a wonderful day. I know I will be trying to beat the 100-degree heat we will be having over the next couple of days.